wow!! what an amazing cake.. i would not want to eat it, i want to keep it! haha! thanks for the visit, Cookie and belated happy birthday! i remember receiving a cake in the office like this too with a portrait on top, and everyone knew that it was my birthday...hehehe. 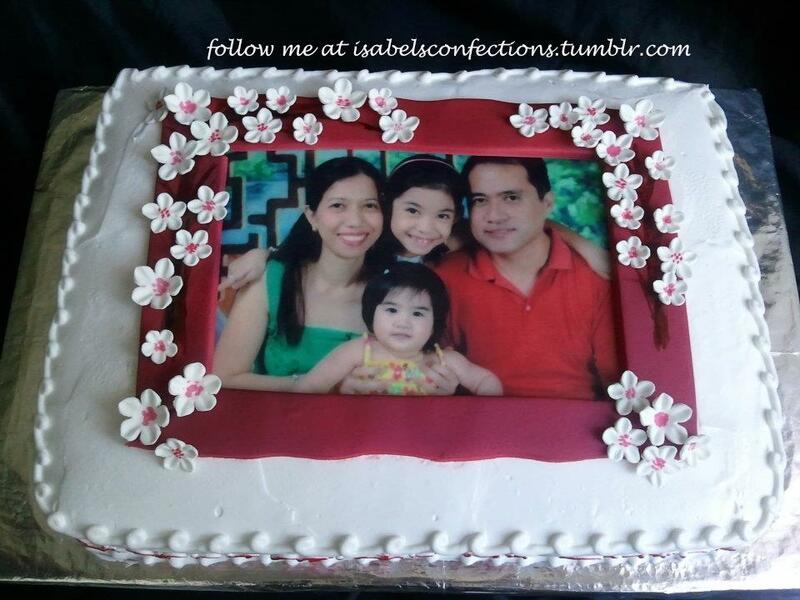 cute ang cake, i bet it tastes yummy too. was here from YS! Belated Happy Birthday! Happy birthday and wedding anniversary Mommy Cookie, double the blessings :-) that cake is beautiful and am sure it taste heavenly too. Visiting from Yummy Sunday, hope that you can return the visit too. lovely cake. Too bad I wasn't there when you celebrated your birthday and your 10th wedding anniversary.